Digital marketing has slowly emerged to become an influential aspect of e-commerce sites and other B2B businesses in India. As the number of internet users keeps spiking daily, there has been a great demand for digital marketing professionals all over the country. Consequently, digital marketing training in Kolkata has grown popular among young aspirants who wish to choose a different and follow an exciting career in this field. Different companies hire digital marketers to market their products/services online through different kinds of professional digital media outlets including the internet, mobile applications, social media networks and so on. Experts say that as consumer dependency on the internet keeps on growing, there is a high probability that digital marketing training Kolkata will become the next big thing in the coming years. Thanks to the world’s biggest search engine, Google, millions of companies and brands have utilized various digital marketing techniques to make the best use of the world wide web. Smartphone revolution in India has made digital marketing the need of the hour for startups and reputed brands alike. Generating satisfactory leads and ensuring that those leads turn into conversion is their main objective. They work on expanding the market reach of business while keeping the expenses at a minimum. 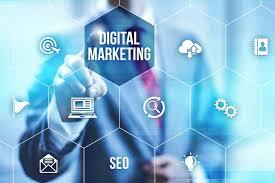 Digital marketing experts are essential to all sorts of businesses whether it’s an e-commerce site or a B2B business. People who consider that digital marketing technique is only feasible and effective for only e-commerce companies are simply not aware of the true form of digital marketing. leads are generated daily, then it would result in a more influential brand image. SEO manager is responsible for strategizing a company’s SEO plans and for its efficient implementation. SEO manager has a sound knowledge of web analytics, content strategy planning, developing campaigns and social media strategies. These professionals handle the selection of keywords for a better audience targeting. They also run A/B tests and are familiar with data analysis. Their main task is to oversee pay-per-click campaigns and their management. A company’s automated marketing strategy is the responsibility of its marketing and automation specialist who also designs landing pages, optimizes targeting and helps in increasing conversions. Influencer’s broadcast a brand’s motto and message throughout digital media outlets on a regular basis so that your followers become leads for any brand/company. An online business entity must maintain its social media image to ensure that the brand image of a company is thoroughly expanding. Social media managers plan and create fresh contents and advertising techniques to interact well with followers and customers. This entry was posted in Digital Marketing and tagged Career in digital marketing, Digital Marketing. Bookmark the permalink.